I used their Premium card stock and I am very happy with the cards. The color quality is excellent and the cards have a nice feel. There is still just that slight edge missing that would make these feel like a typical deck of cards — but that seems to come only with a much higher printing cost supplier and/or with doing a large print run. 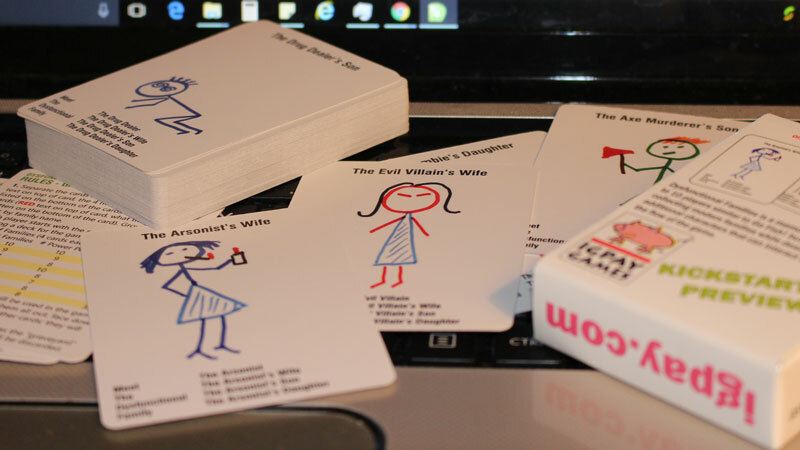 For a card game (as opposed to playing cards) these are excellent. The quality of the tuck box is amazing. It is a very solid box and in the video below you can see that it is a clever folded design that goes together without glue. 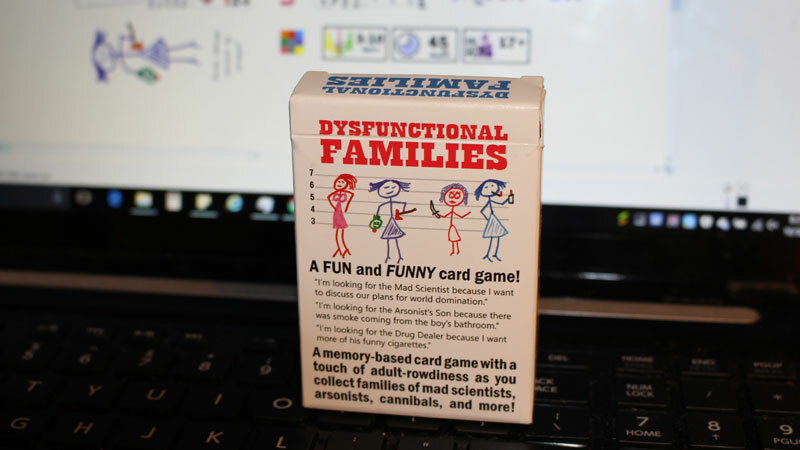 If you are looking to print a card game and package it in a tuck box in a quantity of one, DriveThruCards is an excellent choice. They also offer volume discounts if you are printing sufficient volume. DriveThruCards also offers storefront services — enabling you to upload your game to them and they will handle all the online selling and fulfillment services so that you can concentrate on making new games and marketing them, making them a turnkey sales/production/fulfillment system. Video of my first look at these cards. The video came out a little blurry so I posted the sharper still photos above. Q: What is “Print on Demand”? Print on Demand (POD) is a term for digital print technology that allows for very small quantities of cards to be printed at one time (down to a single deck or even a single card). POD allows cards to be printed as needed, per sale, rather than printed in large quantities and stored in a warehouse to be sold from inventory. Q: What do I get out of selling my cards on the DriveThruCards marketplace? Earn additional sales without having to invest in inventory. Zero order processing on your end. Nothing to pick, pack or ship. No need to invoice or dun us. Your royalties are paid every month like clockwork. We have paid publishers reliably every month for over ten years. You can view your sales in real-time on site and even take your royalties out via Paypal at any time if you prefer.